Whether a potted, climbing or bedding plant, living greenery has been used as an interior element for a long time. However, these days in the world of architects, we can see an increasing trend of not only real, living set-ups of greenery but bigger and more noticeable ones, too. These eye-catching elements have the power to make any environment more energizing and vitalized, which is exactly what ÅWL wanted to accomplish at their premises. But why Naava, when there are several alternatives in the jungle of green walls? “That’s what’s so fun about Naava. It is not only a green wall. Green is an enormously positive color for us humans and its biophilic effect on our minds is very positive. 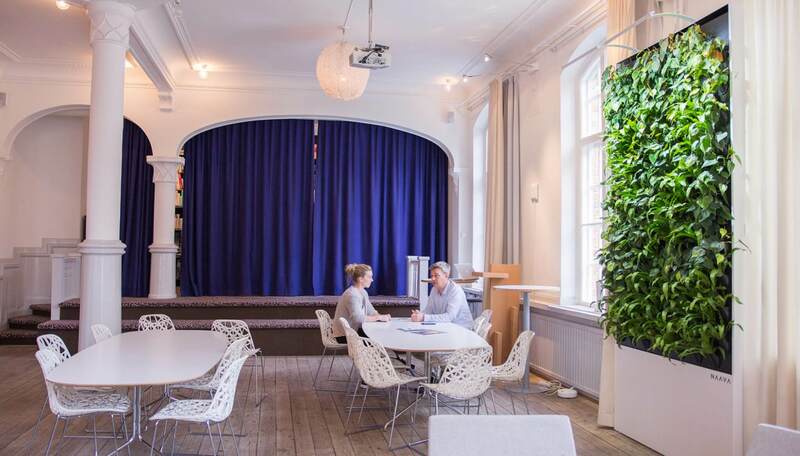 These same effects can also be felt when looking at a typical green wall but the acoustic effect, the air purification abilities, and the improved humidity - I don’t think there is any other product on the market that could fulfill all these aspects as well as Naava does,” said Sven Ostner, Architect and Business Developer specializing in commercial spaces at ÅWL, when describing the reasons behind their decision. 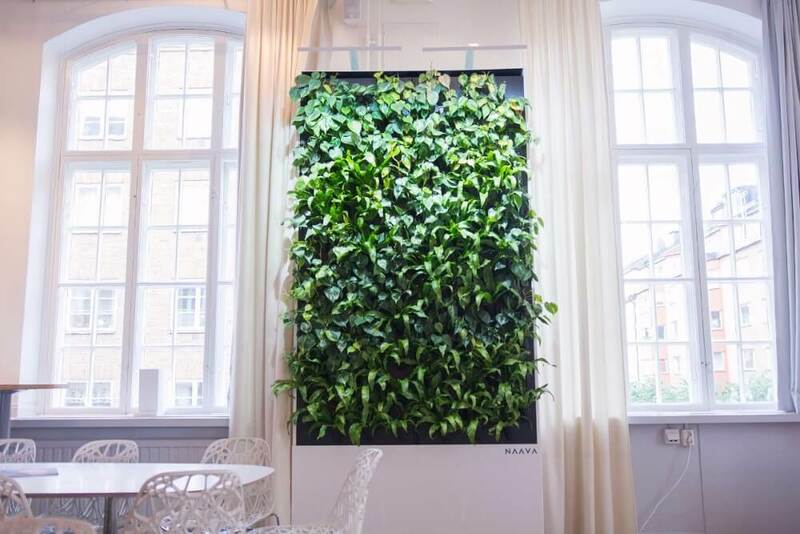 According to the people at ÅWL, Naava became their green wall of choice due to the evolution of humankind. We humans have built urban environments around ourselves and consequently isolated ourselves from the natural elements that affect us positively. “Biologically speaking, we are just like people in the Stone Age. We are not adjusted to spending all of our time indoors, yet that’s where we spend up to 95% of our time. To solve this problem, we have to adjust the indoor environment to suit us,” explained Sven. 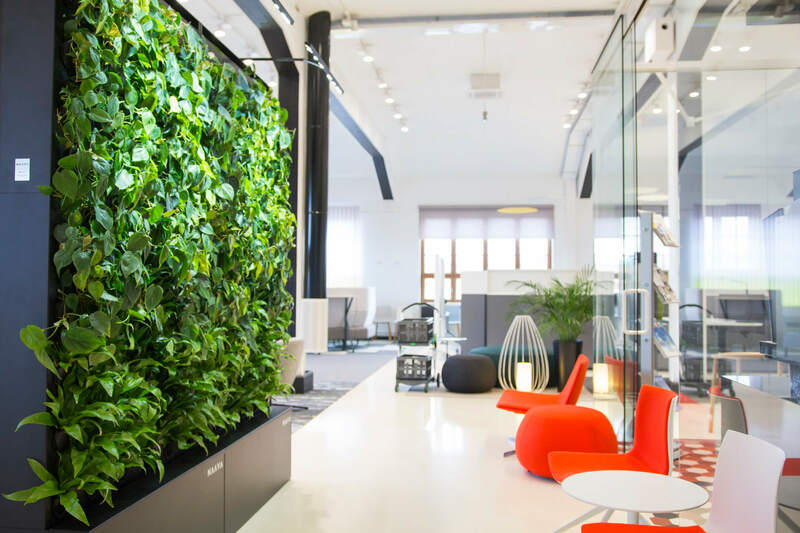 The clean cut, award-winning design of Naava smart green walls is characteristic for Scandinavian, minimalistic design. Even though many other green walls can also be very striking in the looks department, Naava stood out from the crowd for ÅWL. Naava combines brains and beauty by optimizing the air quality in any indoor space it is in, thanks to the smart technology hidden inside of its frame. “Naava creates the air quality we long for, but seldom get indoors,” praised Sven. Sven is no stranger to healthy buildings himself, which is why the various benefits provided by Naava caught his attention. 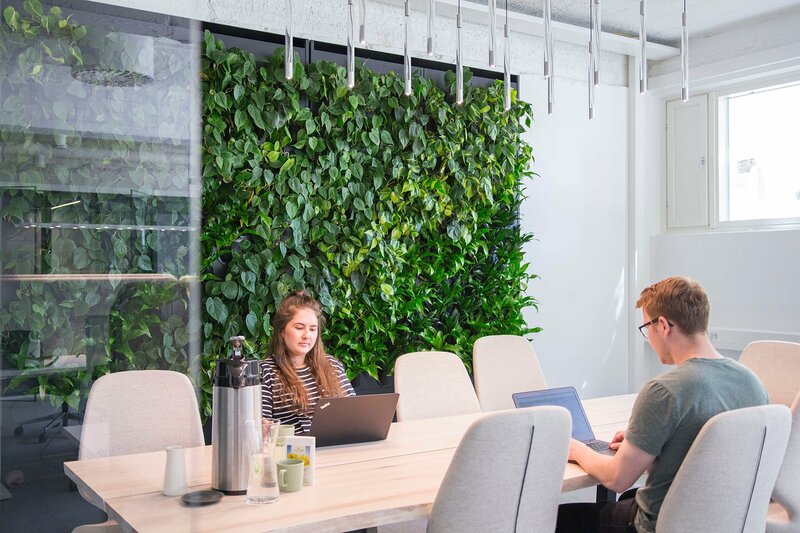 “We already have two other green walls in our office, but they are nothing like Naava,” Sven pointed out. We often spend up to 22 hours a day indoors. The further into winter we get, the less amount of light is available for us, and we crave being inside more and more. 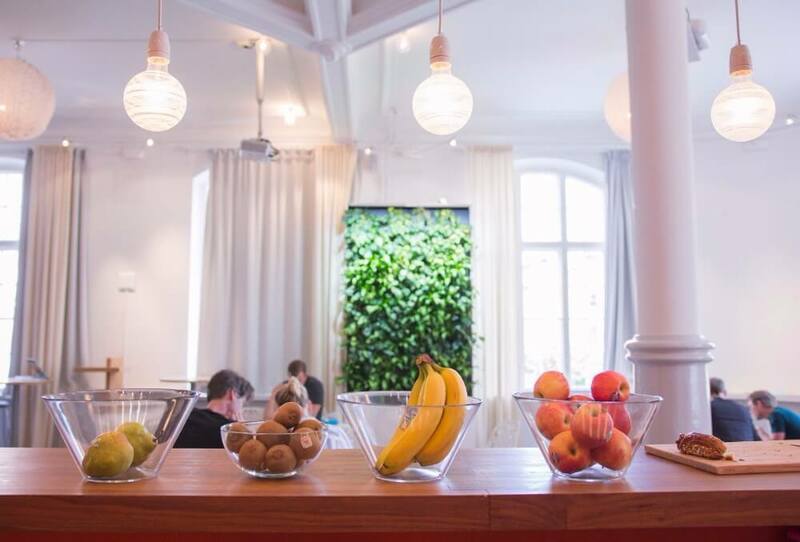 ÅWL wanted to create a brighter environment to revive and inspire their staff. “We have purposely placed the Naava in a place where it can be seen right as you step into the office. It lights up the whole room, especially during winter,” explained Sven. Additionally, Naava’s regular maintenance service is incredibly appreciated at ÅWL. 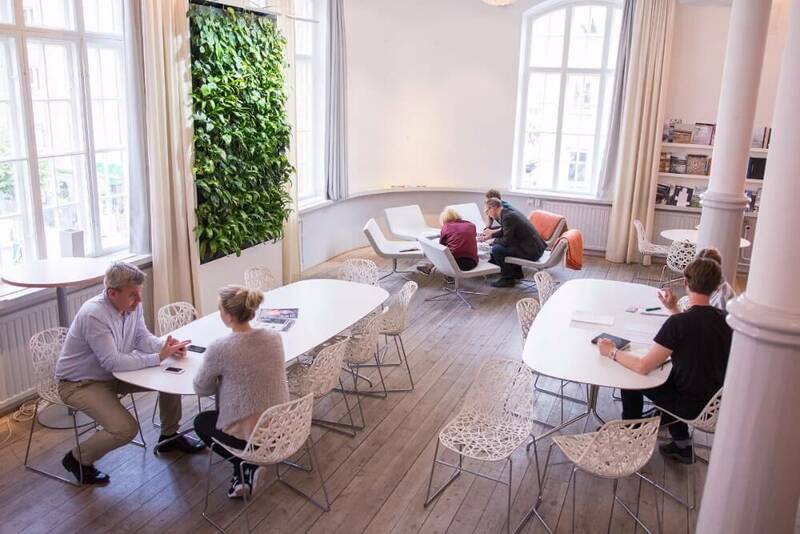 With Naava Service, the people at ÅWL get to enjoy its benefits without having to worry about taking care of the smart green wall themselves. 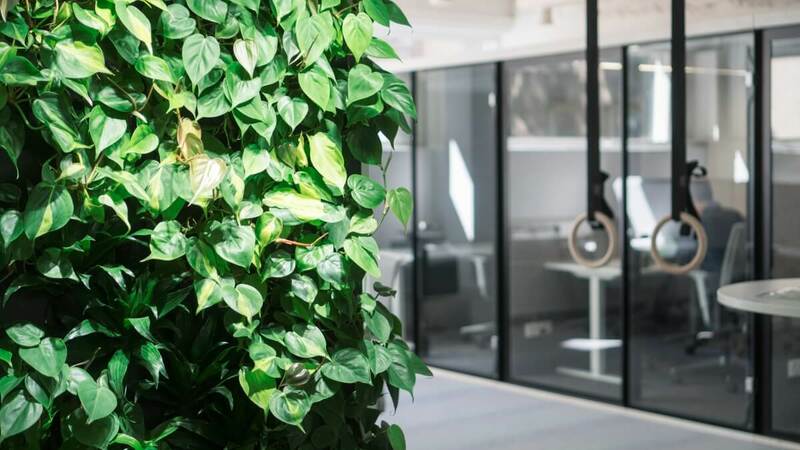 The service not only includes regular maintenance of the smart green wall with a 100% guarantee on any parts, components or plants, but also around-the-clock monitoring and adjusting of each individual Naava’s functions to perfectly suit the environment it is in for optimal efficiency. “Naava Service is very smooth and easy. I can recommend it with a clear conscience,” said Sven. 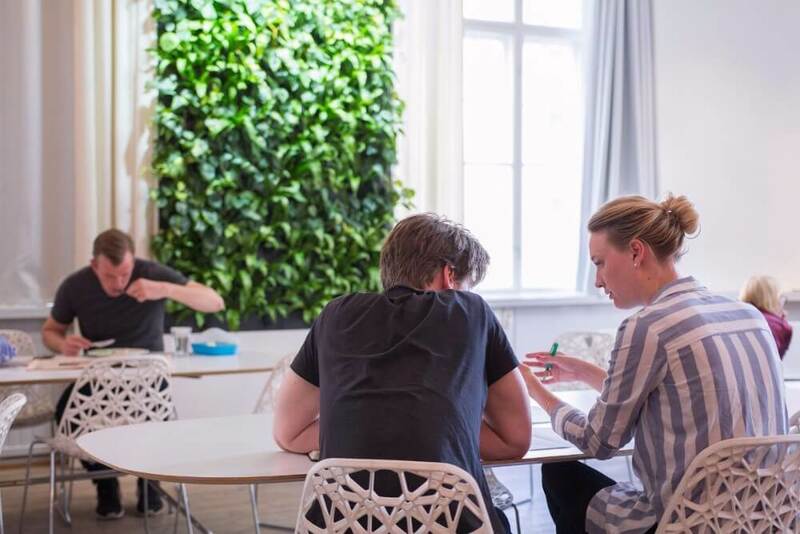 The decision was made even easier once Sven and his colleagues learned more about Naava’s impact on the wellbeing and productivity of people sharing a room with the smart green wall. 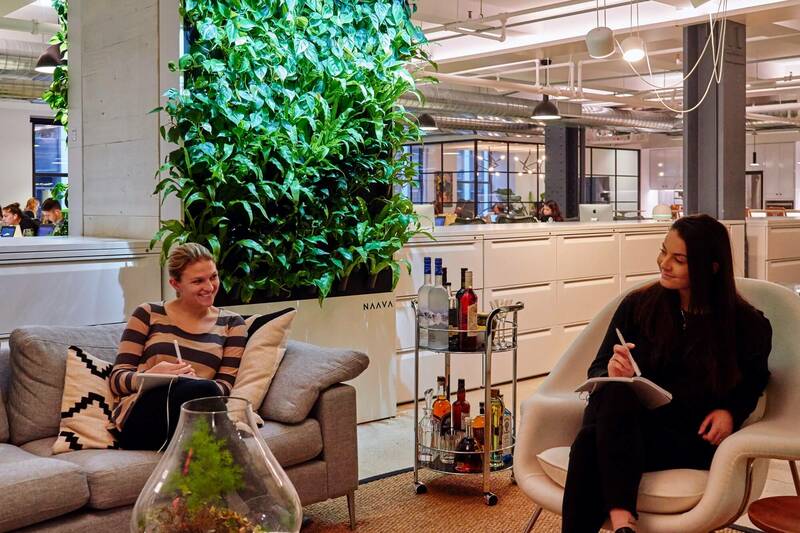 From pure air and improved humidity to better acoustics and beautiful aesthetics, Naava combines various natural elements for greater biophilic effect. “Not only is your productivity improved but Naava also has a positive impact on your health in the long run. One could almost say that this product works as a social benefit,” contemplated Sven. In other words, Naava is an investment that pays for itself by taking care of the employees - who happen to be the most important resources of a company. “If you understand this equation, there’s no question that Naava is what you need,” said Sven. Contact us to find out more about how you can give your indoor space a boost.